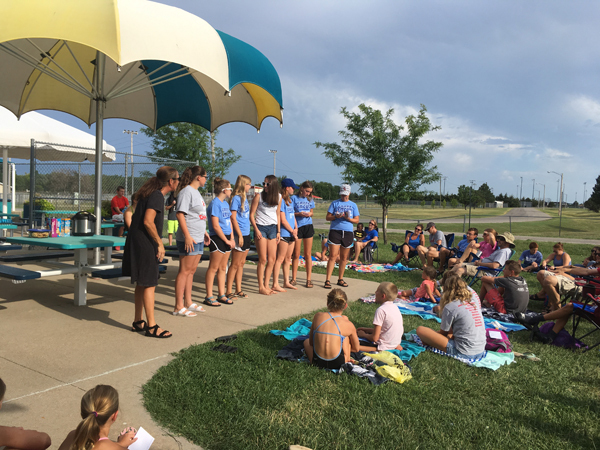 The Hillsboro swim team received awards for a season well done July 15 at the Hillsboro Family Aquatic Center. General and specialized awards. Among those honored were these 13- and 14-year-old swimmers, pictured from left: head coach Stephanie Moss, Tylee Miller, Cheyenne Funk, Malorie Hein, Macy Priest, Emersyn Funk, Ainsley Duell and assistant coach Kalen Moss.